There's only a couple flying examples. 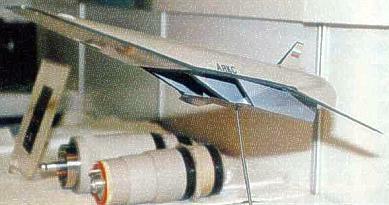 The early Soviet-born Kholod, the HyShot series, and the recent ISRO ATV all flew small scramjet engines, although none were designed for net thrust. By far the most [publicly] successful vehicles have been the X-43A and the X-51. Both were fully controllable, independent flight vehicles (rather than just engines hanging from rockets) that produced net thrust. 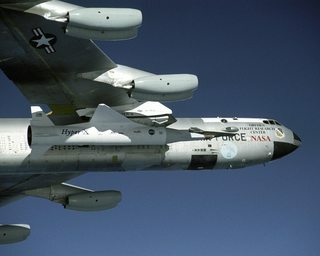 The NASA X-43A hypersonic research vehicle was dropped from a B-52, then boosted by a modified Pegasus booster, and briefly flew at Mach 9.6 with a hydrogen-fueled scramjet. 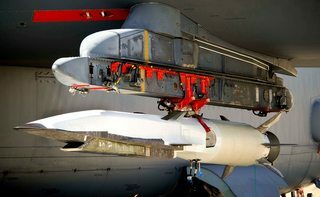 The Boeing X-51 Waverider hypersonic research vehicle was also dropped from a B-52, then boosted by a modified ATACMS (an Army surface-to-surface missile), and then flew at Mach 7 with a JP-7-fueled scramjet. 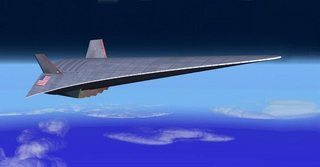 The DARPA Falcon program aimed to produce a hypersonic plane that could takeoff and land under its own power using a turbine-based combined cycle (TBCC) propulsion system (NASA TBCC overivew on NTRS). Two early designs, HTV-1 and HTV-2, were unpowered hypersonic gliders, the latter was launched by ICBMs (basically reentry vehicles, like the X-41 they were probably derived from). 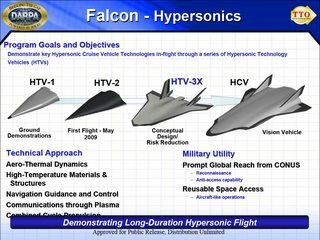 But the next two designs, HTV-3X Blackswift (YouTube) and the final Hypersonic Cruise Vehicle (HCV) (YouTube), would have been the first reusable, hypersonic CTOL aircraft. HCV would have been able to carry a few thousands pounds of payload (eg bombs, flight test equipment, cameras) very quickly across great distances. 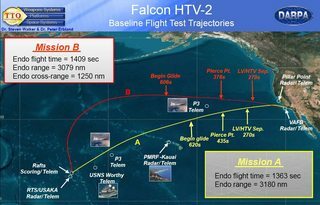 The [HTV-3X and HCV] program was eventually canceled, but other work continues on hypersonic weapons and vehicles. SR-72. 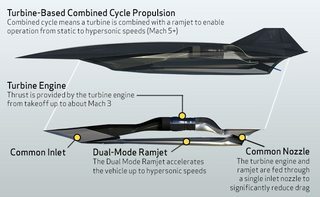 Lockheed Martin is developing the SR-72, an unmanned Mach 6+ ISR (recon) platform. It's meant to fly completely under its own power using TBCC, taking off with turbines and transitioning to ramjet and finally scramjet operation. A key innovation was bridging the speed gap between where turbojets stop working well and where ramjets start working well, but LM declined to elaborate how they achieved that. Their design apparently builds upon their work on the Falcon program (see above). They said they'd fly a single-engined demo before moving to the twin-engined, full-scale vehicle. 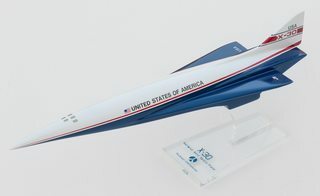 Other ambitious unflown designs include the LLNL Hypersoar and the X-30 National Aerospace Plane. Both were large (100-200 tonnes MTOW), hypersonic, intercontinental vehicles. The SSTO-capable X-30 could launch payloads to LEO as well as serve intercontinental passenger routes. Hypersoar was also envisioned to carry passengers in one variant, perform TSTO in another, and also perform global strike/recon in yet another. The Republic XF-103 Thunderwarrior was essentially an early attempt at TBCC in a manned interceptor. 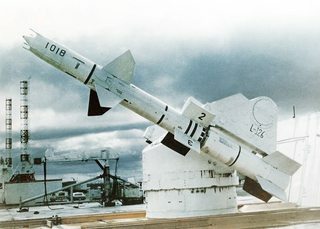 It was a very innovative design (Mach 3-5, no canopy, periscope, crew capsule, huge radar, and internal bays for 6 large missiles, precursors to the AIM-54) but never flew. Source with lots of great background. ... the Bomarc. Credit: Boeing. ... the GQM-163 Coyote, a notable supersonic, sea-skimming target. Credit: DR Kirk. ... the massive P-700 Granit Source and its relatives, the P-800 Oniks and the BrahMos. ... the RIM-8 Talos SAM. Credit: USN. ... and the Sea Dart, the Moskit, the Hughes/Raytheon AIM-152 (and related ACIMD), the Triple Target Terminator, and a bunch others. Some are antiship missiles (various trajectories), some are SAMs, and some are air to air missiles. All were rocket-boosted before the ramjet took over. 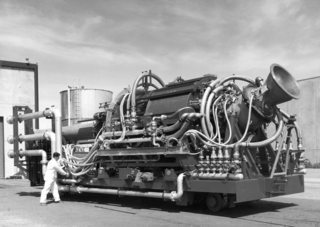 Obviously the most "terrifying" was the Supersonic Low Altitude Missile of Project Pluto fame, a nuclear-armed, nuclear-powered ramjet for the 100,000 mi cruise missile. Air was blown directly through the reactor, directly heating it for thrust. Its unshielded reactor would have propelled it to Mach 3+ at sea-level and irradiated targets below it before crashing into a final target, irradiating that as well. They successfully tested two engines before the program was cancelled in favor of ballistic missiles. Are you asking about current production or through out time? The SR-71 was powered by a Pratt & Whitney J-58 engine which operated as a partial ram jet at high speeds. At lower speeds it operated like a turbojet changing its internal shape as it increased its speed. The SR-71 was capable of departure under its own power from the ground. You can find a list of ramjet powered aircraft here however many are prototypes or test beds. NASA's X-43 hyper sonic test bed is powered by a scram jet but that is unmanned. 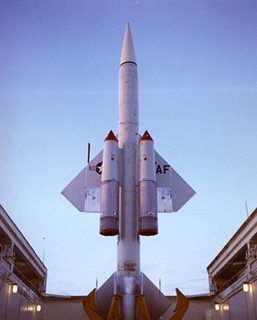 It is launched off a B-52 and connected to a pegasus booster to get it up to speed. René Lorin invented the ramjet in 1908, and his ideas were tried in flight for the first time from 1941 onwards. Different sizes were tried; below are two pictures, one of a Do-17 Z with a small Lorin engine (source) and below that one of a Do-217 with a much larger version (source). Speed increases of up to 150 km/h were recorded, but efficiency was poor. In all cases the piston engines were needed to take off and reach a speed at which the Lorin engines could be started. 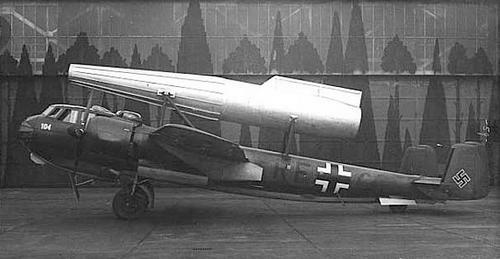 If you accept a pulsejet as a kind of ram jet, the next manned, ramjet powered flight used a Heinkel 280. This plane was designed as a jet fighter but the engines were delayed. Therefore, in 1943 it was decided to try it out with pulsejets, two on each side. It had to be towed aloft and when the jets were started, their vibration shook the whole airplane apart. Wikipedia has the story differently; here the aircraft took on too much ice. The pilot could escape by using the newly-invented ejection seat; another first on that flight. Later the same engine was used on the V1 "buzz bomb", and almost 30,000 were made between 1943 and 1945. They needed a catapult for take-off, so again none were able to fly all by themselves. The next chapter happened in France, where René Leduc worked on ramjets from 1933 on, culminating in a range of designs. 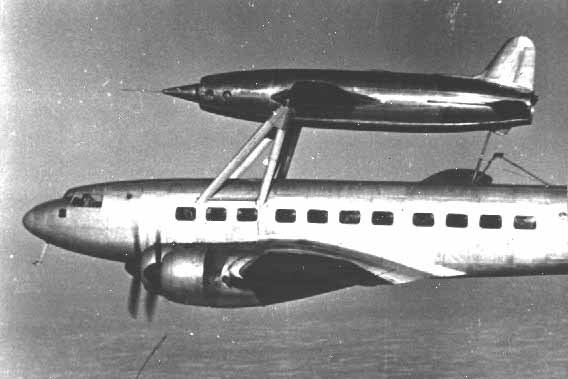 The Leduc 0.10 counts as the first airplane which flew solely powered by a ramjet in 1949. But those aircraft needed a launching aid as well; in the picture below it is a Sud-Est Languedoc carrying a Leduc 0.16 (source). The final design of this series, the Leduc 0.22, was supposed to be a supersonic interceptor with a coaxial turbojet and ramjet, enabling it for independent operation. 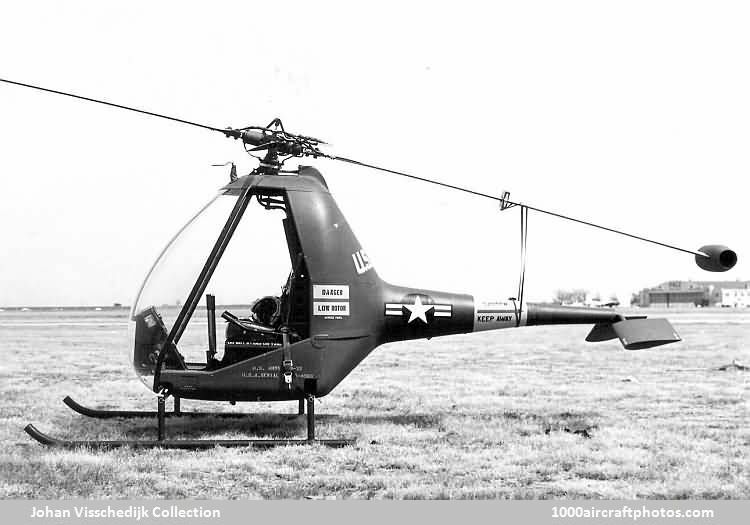 A similar propulsion system was chosen for the Nord 1500 Griffon interceptor prototype. 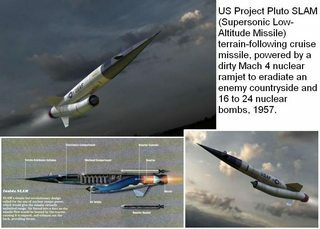 Meanwhile, in the USA, a ramjet was used for several unmanned long-range designs like the CIM-10 Bomarc, which was rocket-launched and capable of Mach 2.5 flight. Based on work by the Austrian engineer Friedrich von Doblhoff, Hiller produced the YH-32 which used two ramjets mounted at the tips of the rotor blades for propulsion (below, source). This allowed to take off under ramjet power, but the limited speed of the rotor tips meant that the ramjets had poor efficiency. Another notable use of ramjets is the Lockheed D-21 drone which was air launched as well, initially from a SR-71-derived M-21 and later from the B-52. 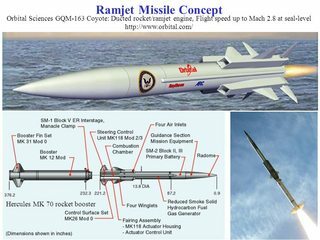 More recent designs using ramjets are long-range air-to-air missiles like the Meteor. Moving over to scramjets, I can name only two unmanned designs which were tested, one the US X-43A experimental plane (left, source) and the other the Russian Ajax or Ayaks project (right, source). Not the answer you're looking for? Browse other questions tagged supersonic hypersonic scramjet ramjet or ask your own question. 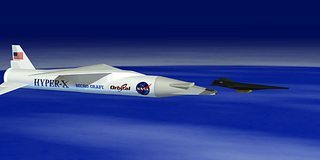 Is there a viable alternative to liquid hydrogen as a fuel for scramjets? 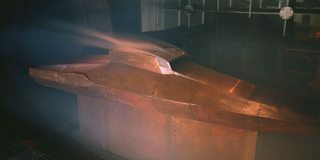 Is there currently any heat shielding and paint for speeds of up to Mach 6? What technical problems stopped scramjets from being used on hypersonic aircraft?